ATLANTA, G.A. – Back on Nov. 20, the Knicks handled the Hawks, 104-94 in Madison Square Garden. Wednesday night, the New York Knicks looked to start their three game road trip by getting another win against the Atlanta Hawks. The Knicks would be without Courtney Lee due to a sore wrist. 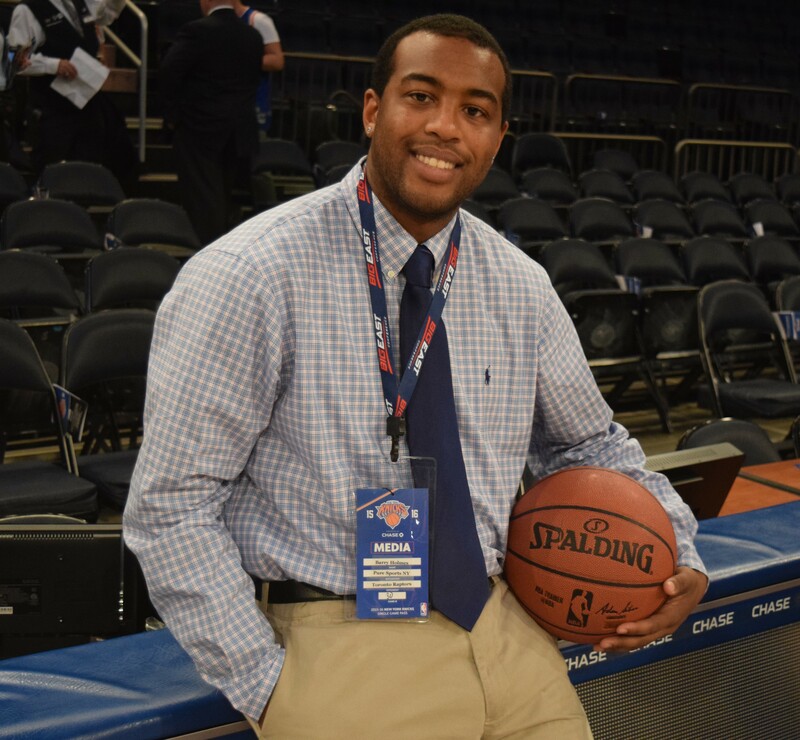 However, Lee would not be the only player to leave the Knicks short handed. This game definitely had a playoff atmosphere, and there was no shortage of physicality. Right out of the gate, the game started getting very chippy. The physicality reached a height, when Carmelo Anthony gave a blatant elbow to the face of Thabo Sefolosha. The elbow got Anthony a flagrant two, which warranted an automatic ejection. This left the Knicks without their best offensive weapon, early in the second quarter. Anthony finished with 10 points, five rebounds and one assist in just 15 minutes. The Knicks showed impressive resiliency, by coming together after the ejection and fighting all game long. Joakim Noah stepped up, and had one of his better games of the year. Noah recorded a double double (14 points, 16 rebounds) along with three assists, two steals and a block. Noah also shot a perfect, four of four from the charity stripe. Noah has really taken the time to become a better free throw shooter, and it showed in Atlanta. (Photo Credit: Barry Holmes) Noah practicing his free throws back on Christmas. Justin Holiday led the Knicks off the bench with 14 points. The Knicks fed off of Holiday and Noah’s energy, especially on a short handed night. Holiday added four assists, three rebounds, two steals and a block in 34 minutes. Holiday has been playing well off the bench for New York, and sets the tone defensively with his tenacity. Kristaps Porzingis and Derrick Rose carried the offensive load for New York. Rose led the Knicks with 26 points (9-28 FGM/A), but didn’t have his usual efficient scoring night. The Knicks’ starting point guard added seven rebounds and six assists, but forced the issue throughout the game. Porzingis contributed 24 points, but didn’t shoot well either (7-17 FGM/A). Porzingis did make a clutch jumper with 1:25 left in the 4th quarter, to tie the game at 85-85. Both teams were unable to score after that, and the game went into OT. Porzingis would have another chance to save New York, as he was fouled attempting a three pointer by Sefolosha with :03 seconds left in OT. The Knicks trailed Atlanta 97-100, and needed Porzingis to hit all three free throws. Porzingis missed the first free throw, made the second and was called for a lane violation on the third attempt. Paul Millsap made two free throws after, to seal a 102-98 win for the Hawks. (Photo Credit: TNS / Curtis Compton) Rose turning the ball over late in OT. Dennis Schroder led all scorers with 27 points and added five assists. He hurt the Knicks with his playmaking ability and aggressive defensive play. Ironically in the Nov.20 game, Schroder posted just a single point and was benched for his poor play. New York’s (16-15) next opponent will be the New Orleans Pelicans (13-21), on Friday night. 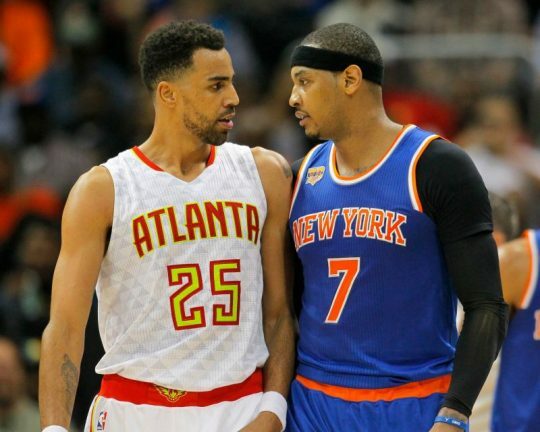 If the Knicks can compete like they did in Atlanta, Friday night they will snap their two game losing streak.